"All of the sudden, we're getting calls from USA Today, Good Morning America, People Magazine and ABC World News Tonight," said John Harrison. 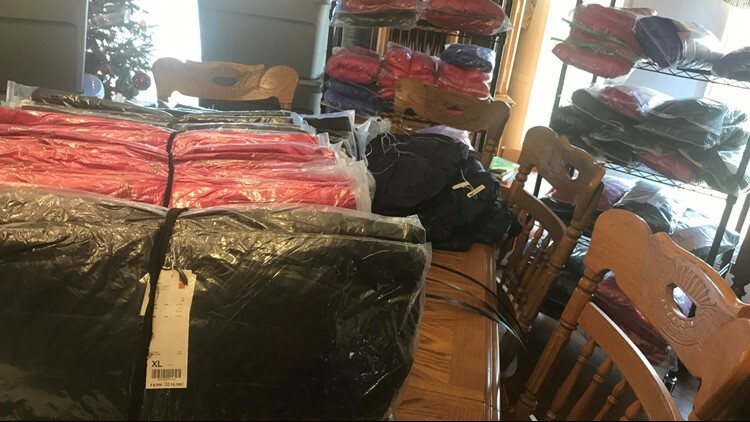 ITHACA, Mich. - A mid-Michigan family, whose daughter "saved recess" by asking her mother to invent a body coat, has experienced an overwhelming surge in business, after the original 13 ON YOUR SIDE story went viral, then got picked up by major national and international networks and publications. 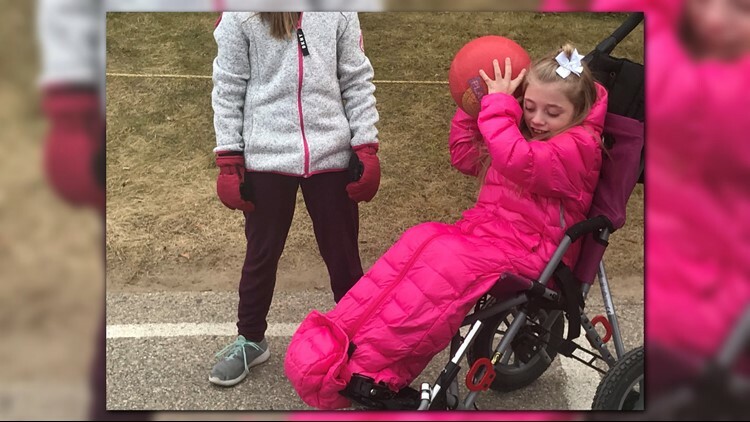 In late 2017, 9-year old Zoey Harrison, who is a fourth grader at North Elementary School in Ithaca, Mich., got frustrated because she couldn't play outside at recess with her classmates. She has cerebral palsy and spends most of her time in a wheelchair. By the time she got all bundled up properly, recess was over and she missed all the fun. "I asked my mom to make me something so I could be able to go out and play," Zoey said. Her mother, Jennifer Harrison, started drawing up some prototypes and ended up inventing a body coat. 9-year old Zoey Harrison plays four-square with her friends during recess at Ithaca's North Elementary School. She's able to do it because of the body coat her mother Jennifer invented, allowing her to get in and out of it with ease. They got a patent for the coat and started a business called X-Ability, and the family began selling the body coats in November. Two and a half weeks after 13 ON YOUR SIDE first shared their story, the Harrisons say they have been overwhelmed with Body Coat requests. "Everything has completely changed," said Jennifer Harrison, Zoey's mother. "We're just little Ithaca people." Well, the entire world has gotten to know these "little Ithaca people" these past few weeks. Major media outlets like USA Today, Good Morning America, People Magazine, Daily Mail U.K. and ABC World News Tonight have been contacting them for interviews with the hopes of sharing their story. "If you had told me this was going to happen, I would have said, 'You're crazy,'" joked Jennifer. "It's been a roller coaster ride, but in a good way." The Harrisons say they've burned through their inventory of body coats and are constantly having to order more. "In the last two weeks, sales have absolutely gone through the roof," said John Harrison, Zoey's father. "Every single day, we're making coats, taking them to manufacturing, picking them back up from manufacturing, processing, then shipping orders." The Harrisons say they've filled orders from all over the United States, including Alaska. They've also received requests from overseas, including countries like Australia, Scotland, Sweden, the United Kingdom and all over Canada. "The first month we were in business, we sold approximately 50 body coats," added John. "Since Thursday of last week, when ABC World News Tonight aired our story, we've received 300 orders and it just keeps climbing." John attributes the sudden surge in business to last Thursday when Zoey and her body coats were featured on ABC World News Tonight with David Muir. "David Muir called me and informed me he was doing our story," said John. "The [ABC World News Tonight] broadcast ended at 6:59 p.m. and at seven o'clock, our phone started ringing, and we were answering calls for another four hours that night." 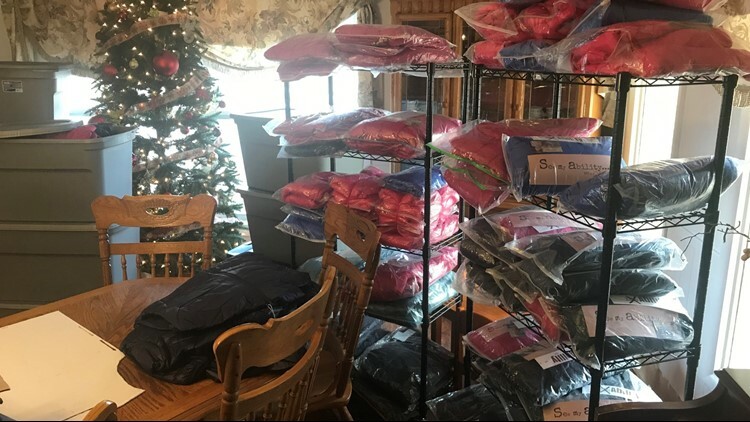 The front room at the Harrison's home has been transformed into a literal body coat factory, with stacks of coats ready to be labeled and shipped. John and Jennifer, along with several of their children, are working every day making sure every order is filled and gets in the mail. There are stacks and stacks of X-Ability Body Coats on shelves inside the Harrison's home ready to be bagged, tagged and shipped. Since 13 ON YOUR SIDE first aired their story, the coats have since gone on back order. Mid-Michigan Upholstery & Awning in Alma, Mich. is the company the Harrisons use to make the coats. They've had to bump up their staff in the last two weeks to accommodate all the orders, the Harrisons say. "Almost all of our sizes, colors and options are on back order," said John. "But, we're working through it." So, while Zoey continues to "save recess," her parents will continue to manage their highly successful and viral X-Ability Body Coat business into 2019 and beyond. "It's a great problem to have," said Jennifer. X-Ability Body Coats range from $85-185. Due to the overwhelming popularity, the body coat will ship in 6-8 weeks. The Inside of the Harrison's Ithaca home has been transformed into a Body Coat factory. The family receives shipments of coats daily. Their X-Abiliy Body Coat sales have more than quadrupled since the beginning of December. If you know of a story that should be featured on "Our Michigan Life," we'd love to hear from you. Just send a detailed email to life@13OnYourSide.com. We will be sure to follow-up with you.